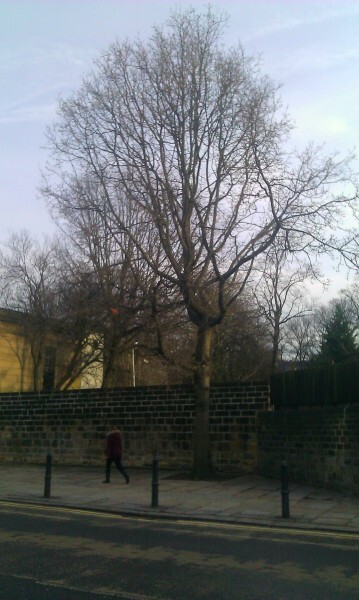 I wrote about my experiences curating the PeopleofLeeds Twitter account earlier today, and said at the end of that post that I would share here some of the pictures which I posted to that account during my week, so that I have a more permanent record of what I did with it. This post contains some (though not all) of the pictures I took of non-Art Deco landmarks in Headingley during my week, and the things I said about them. 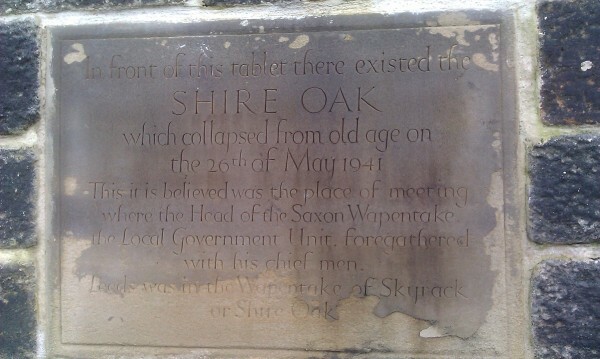 Sadly, it is no longer the 'original' oak, which looked very unwell in 1934 and finally gave up the ghost in 1941. 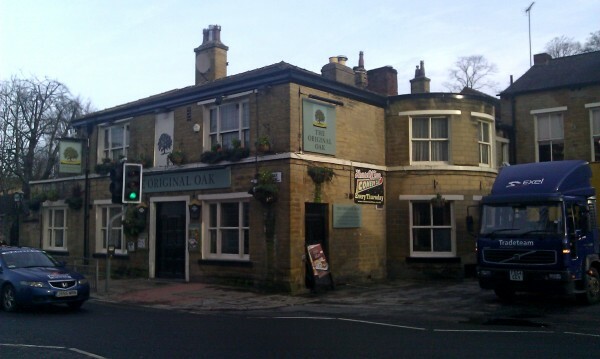 Nor, in fact, do I believe the traditional stories about its predecessor being the focal centre of the Headingley wapentake, as there is no direct evidence for that and it sounds awfully like 18th / 19th century romantic whimsy to me. I notice that even the official inscription recording its existence hedges its bets with a cautious 'it is believed'! 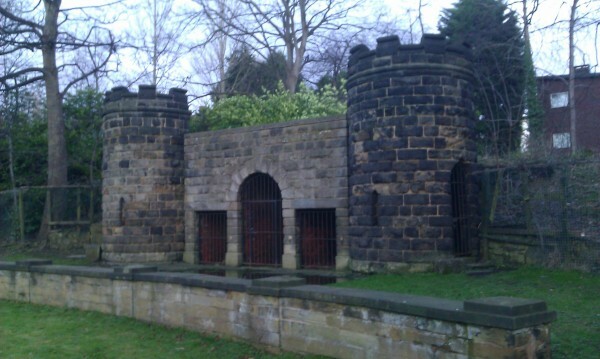 But it has clearly been an important fixture in Headingley's history, even if what it commemorates doesn't really date back to the Anglo-Saxon period. 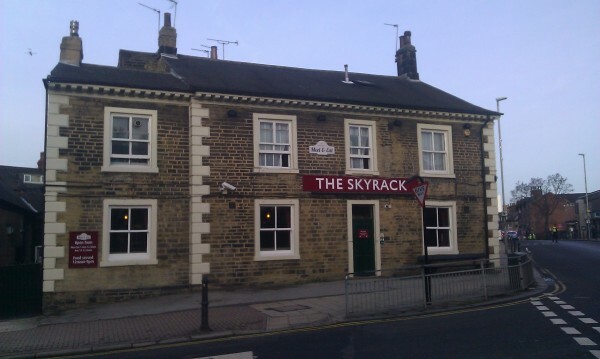 Certainly, it has provided the toponym for the nearby Shire Oak Rd, and two pubs on either side of the road from where it stands: the Original Oak and the Skyrack (which is Anglo-Saxon for Shire Oak, but very clearly has not been there that long either). 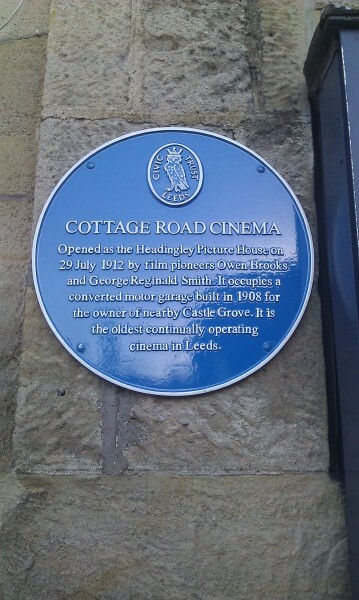 The Cottage Road is the elder by two years, having opened as a cinema (converted from a garage) in 1912 while the Hyde Park can only claim 1914 (after conversion from a hotel). 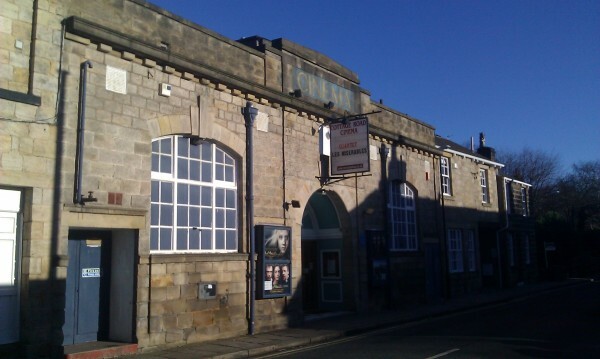 I went to the centenary celebrations for the Cottage Road cinema last summer, and regularly go there with ms_siobhan for their Classic film nights. 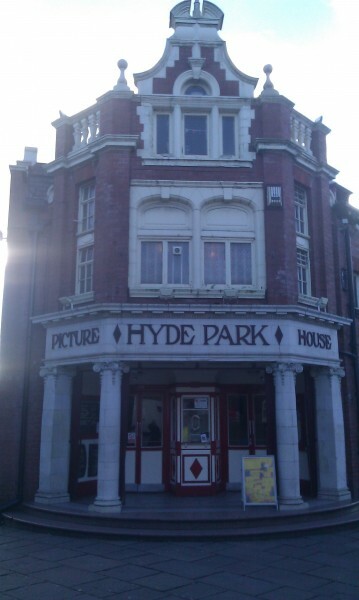 The Hyde Park doesn't show vintage films as often, though it still does so quite a lot, and it is also lit inside with original gas lighting, which the Cottage in all fairness cannot match. 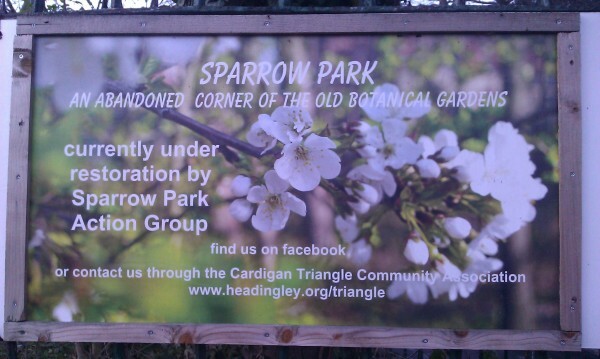 Locals have been campaigning for several years to get what is currently basically waste-land tidied up and turned into a sort of urban mini-park where people can sit or play, but have faced a serious challenge - there were no official records proving who owned it, which meant that no-one was legally allowed to do anything with the land. 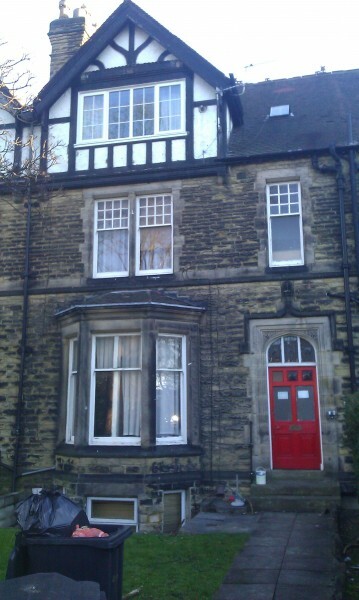 Happily, though (as this is another thing I learnt during my People of Leeds week), the situation was very recently resolved with a compulsory purchase order, and funding has been secured to get the place renovated. So hopefully that little spot of land will start to look like a very different place pretty soon. None of the above photos are that great, of course, because they were taken with my phone camera, and I didn't usually have the luxury to be able to wait around for good weather, good lighting, no cars, etc. before I took them. 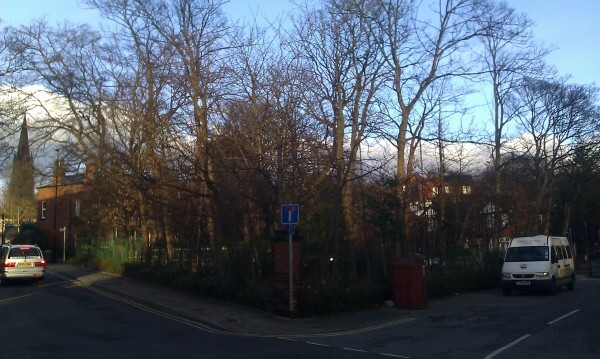 But that's the nature of Twitter, and I think they did convey a good sense of what I like about my area. I have a book about art nouveau which is looking for a home - would you like it? Hello! Thanks for thinking of me, and yes, I think I could give this a home. We've missed today unfortunately, but I will be on campus again next Monday as far as I know. Shall we pencil in a coffee or something when you have finished your statistics class? Oh, OK, thanks - that is very kind of you. Unfortunately, on the Monday after the two you can't make, I will be in Scotland, which isn't very helpful. The next one after that is March 11th, which seems a long time away, but if you're free then, I am! It's ages, but something to look forward to :-) Down in the diary now.